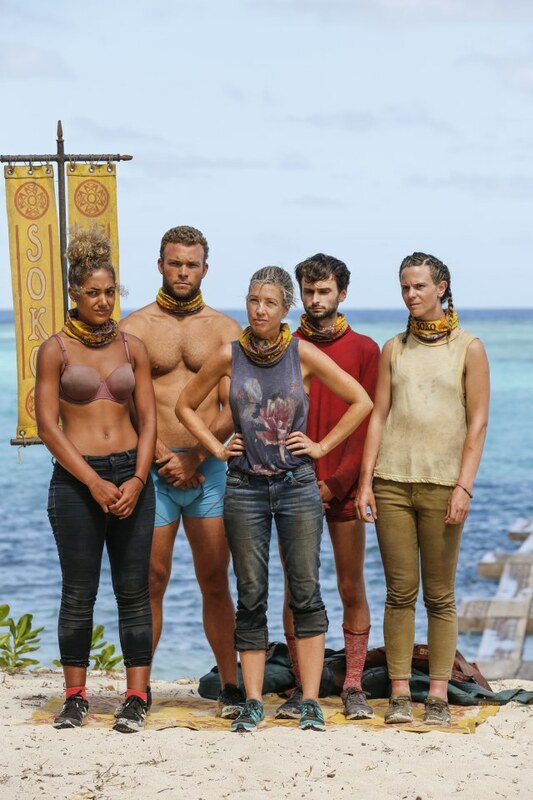 Just moments after telling Jeff Probst she was confident in her position, Roark Luskin was voted off Survivor: Heroes vs. Healers vs. Hustlers. What went wrong? 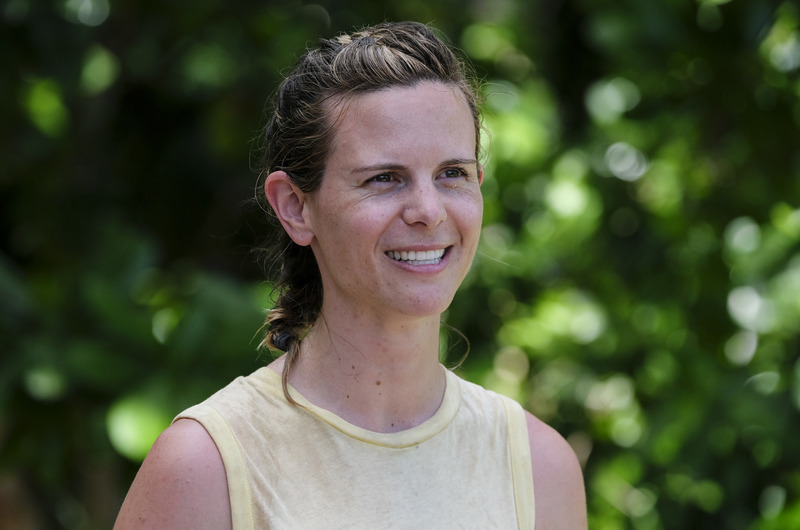 We spoke with Roark to get the dirt, and she revealed why Ryan’s decision to blindside her was actually the right thing to do. In fact, she would even vote for him to win because of it. She also explained how she was working behind the scenes to stir up paranoia with Joe. Finally, we asked her what she will be for Halloween, and we got an answer many of you may not expect. SheKnows: How was it watching your surprise elimination play back on TV? Roark Luskin: I’m good. That was a pretty honorable exit. I’m proud. I think they told the story accurately. I have absolutely no hard feelings. I’m an insanely competitive person. There’s nothing I love more than games. I can respect when I’ve been bested in a game. I held it together in that moment, but I vividly remember crying after. I think if it doesn’t hurt, you shouldn’t be out there. As a fan, it meant a lot for me to be out there. We each get that little five-second blurb in the voting booth confessional, and Ryan, as a fellow superfan, said, “I know how much it means for you to be out here. You’re awesome. I’m really sorry.” He and I were superfans. We got it. It is what it is. Survivor has given us showdowns like Zeke and David. How often do you see really smart women who are ambitious and have this big, real-world life come out there and go for each other like me, Chrissy and Ali did? What an interesting, fun way to go. It was a great episode of television regardless of my own outcome. SK: But you were definitely blindsided. RL: For sure. I knew that Chrissy was gunning for me the second we swapped. I had been told that. If we had lost that first Immunity challenge, I would’ve been very prepared to see my name and go home. As days progressed, I felt that I had built enough of relationships with people after that. But Ali and I did not foresee the advantage between Chrissy and Ryan and the strength within that hidden bond. SK: Why did she target you so strongly? RL: One of the things that did not make the episode happened when we were laying around camp one day. She said to me, “You remind me so much of me.” That actually came up in Tribal when we were going back and forth. She said she felt really out of place in the tribe, and I argued it was incredibly unfair when she compared herself to me. She definitely saw something in me. What you do hear on the show is her saying, “I think Roark is the No. 2 scariest person out here.” She clearly recognized herself as a threat and recognized those threatening qualities embodied in another person. Instead of teaming up to become extra threatening, she said, “I must remove that of which is similar to me.” That is a completely valid, logical choice on her part. I understand where Chrissy was coming from on all levels. 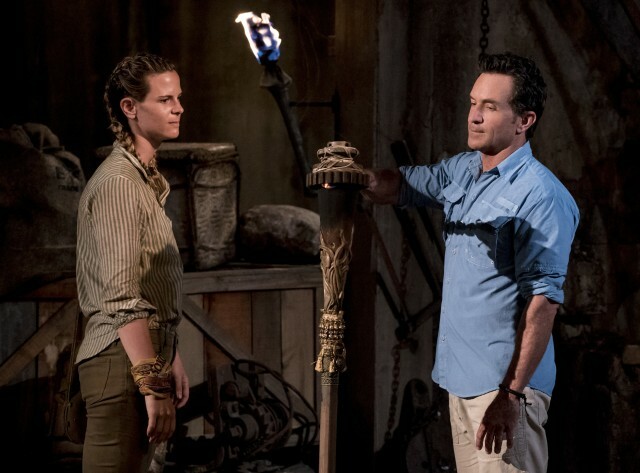 SK: As you and Chrissy squared off at Tribal Council, did you ever start thinking that maybe the votes would fall against you or were you confident the whole time? RL: I had believed the decoy boot was Ryan. As we’re conversing with Jeff, all of the conversation was about me and Chrissy. I knew it wasn’t good. 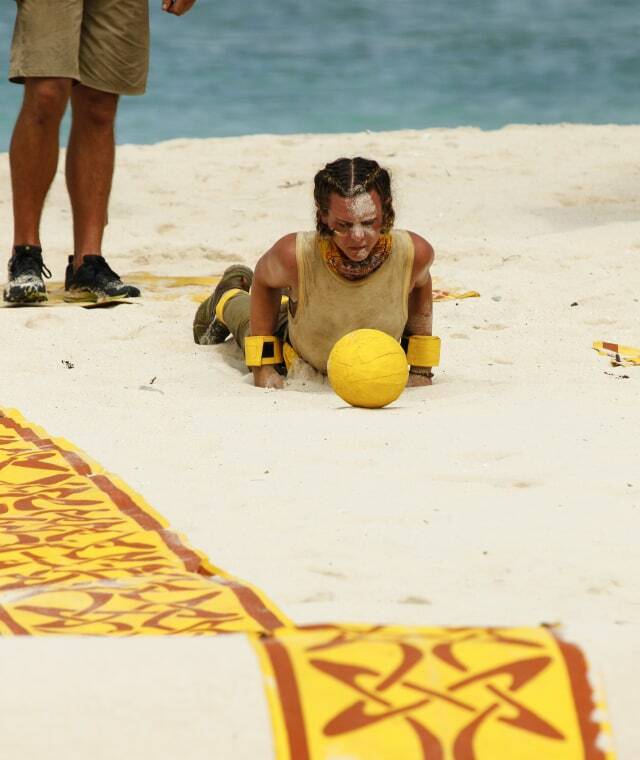 Ryan’s inability in challenges didn’t come up. The fact he does nothing around camp didn’t come up. The stuff I expected to come up that Jeff would want us to hash out wasn’t coming up. That felt wrong. As soon as the first vote showed up for me I knew it was over. I didn’t have to wait for the third because I knew I could excuse myself. But Ryan was the fake target. When you see Chrissy and I sitting on that log, she proposes voting out Ryan to me. SK: Looking in from the outside like a viewer, do you think Ryan made the right decision to vote you out or was it a mistake for him to alienate Ali? RL: I believe he did. I think Ryan feels that he has Chrissy. I think he felt like he lost Ali. My bond with Ali was really profound out there. I think he was like, “Roark is going to bring Ali to the Healers side. How does she see me fitting into that plan?” I think he saw Ali as leaving him for me. He knew he was No. 1 in Chrissy’s book. RL: My strategy was to be flexible, to be a good listener and to build friendship bonds before game bonds. I never wanted to get too rigid about something. I think that’s where things go wrong because you can’t view things from all angles. When people are very paranoid, it gets annoying and old having to comfort them all the time. In the Healers tribe, I was often put in the comforting role for Dr. Mike and other people. That made me never have to comfort myself, which I became generally too comfortable. I never wanted to seem like I was playing from a place of fear. Another thing that sort of breaks my heart, if you look at our preseason interviews, Ryan and I wanted to work together really badly before we ever even spoke. This story has such a different ending if Ryan and I had a chance to start together. That type of thing makes me very sad. I wish I had that opportunity. I think a Roark and Ryan run would have been really fun. SK: Is Ryan the person you wanted to go to the end with? RL: No. Ryan and I could never sit at the end together because we’re too similar. What actually was happening is that Desi was my ride-or-die. I would’ve been happy to sit at the end with her. I was open-minded about the third spot. She was not a superfan, by any stretch. Her strategy was to find somebody who knows the game and operate with them. She and I found each other and hit it off personally. She really trusted my judgment. That’s exactly the person you want to be working with. I fully trusted her to be my sounding board. Any info we gathered from other people we would bring back to each other. I knew I could go to the end with her and win. I guess the third finalist makes it more complicated, but I had full faith in my ability to move forward with Desi. SK: Of the remaining contestants, who do you think is most deserving to win at this point? RL: For me, it’s Ryan. He played Ali and I like a fiddle that day. Obviously, we’ve seen how he’s rocking the pre-merge calling shots. If I had to pick today, I would give it to Ryan. SK: So no bitter jury vibe from you. You would reward the guy who blindsided you because you respect his game? SK: Who doesn’t deserve to win? RL: As somebody who respects strategy over survival, I could never give it to J.P. He’s a lovely guy, and he’s a wonderful leader. You don’t hear it on the show, but he was guiding us through the challengers with such leadership and authority. No shade at J.P., but he’s my least likely pick. SK: We didn’t get to see too much of your game on TV, so what kinds of moves did you make to impact the game? RL: I was really trying to convince Cole to throw a challenge with me. I knew going in six to a swap was a really bad idea. I was super-uncomfortable with that. I really wanted Cole to throw with me, but I couldn’t quite convince him. 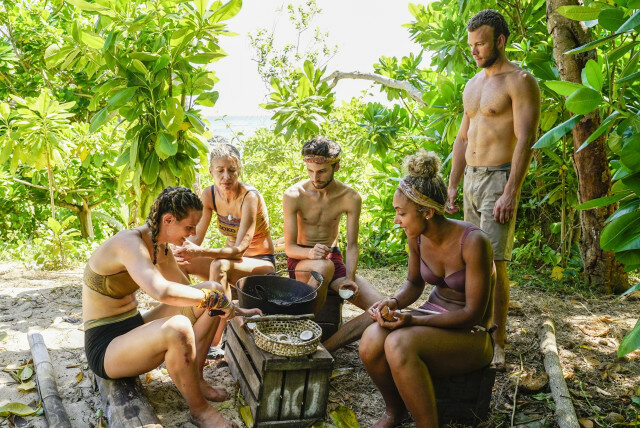 If we had gone to Tribal first, it definitely would’ve been Dr. Mike [voted out] because Joe was so vocal in his concerns about him. As you survive longer and longer without going to Tribal as a group, the target can move. Dr. Mike became endearing, fun and lovable as time went on. I very much wanted to work with Mike, but as the target was swinging God forbid the bull’s eye lands on me. Joe was still very paranoid about Mike’s behavior whether it was Idol searching or fake Idol building. Anything we got with beads on it I was stealing and burying. I was using it to feed Joe’s paranoia. He would be like, “The fake Idol is getting bigger. Mike’s making a giant fake Idol.” I was like, “Yes. Yes he is.” I was doing a bunch of little stuff that doesn’t have a story arc because nothing ever came from it. RL: I literally just applied. I sent in a video online and got a call. It was a one-year journey. I applied out of cycle [when the show’s not prepared to film,] and casting asked me to be in a good place to try again later. It all started up again last fall. Myself, Joe, Ali, Devon and Ryan all were at casting one year ago this week. That’s where it all began. It was my first time applying. I just did it on a whim. SK: Being a superfan, what’s your favorite season? RL: Panama [Exile Island.] 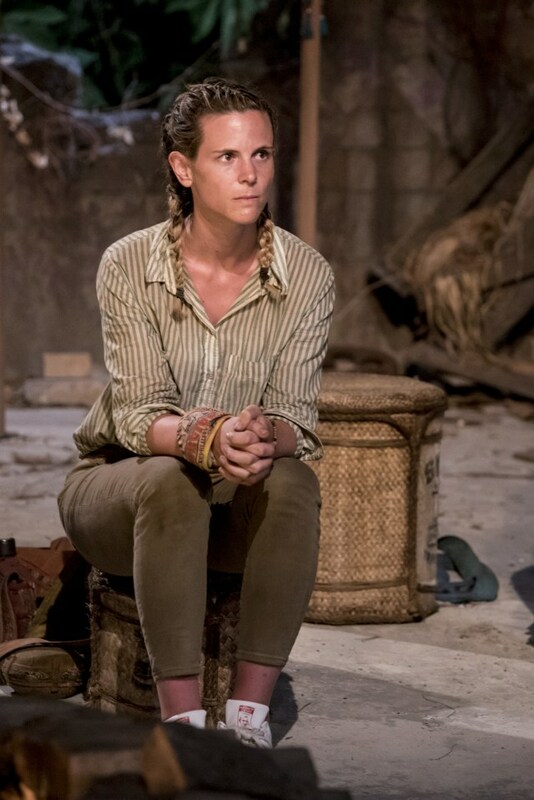 You’ve got Cirie with the strategy. You’ve got the Shane and Courtney character amazingness. It has all the great stuff to me. You’ve got a challenge beast, a strategy beast and a social beast. It’s a great season. SK: Bonus question: What are you going to be for Halloween? RL: Oh, God. I hate Halloween. I actively think it’s an inappropriate adult holiday. Adults shouldn’t celebrate Halloween, in my opinion. The only fun time I’ve ever had on Halloween was when I had a bunch of friends over in a highly trafficked neighborhood. We made a bingo board where you had to write the costumes we thought we would see kids show up with. It had to be specific. It could not just be a princess, it had to be Elsa or Cinderella. Any time a kid would ring our doorbell, all these adults ran to the door screaming out the costume names. “Is there a ladybug? Is there a bumble bee?” That was the funnest Halloween I ever had. 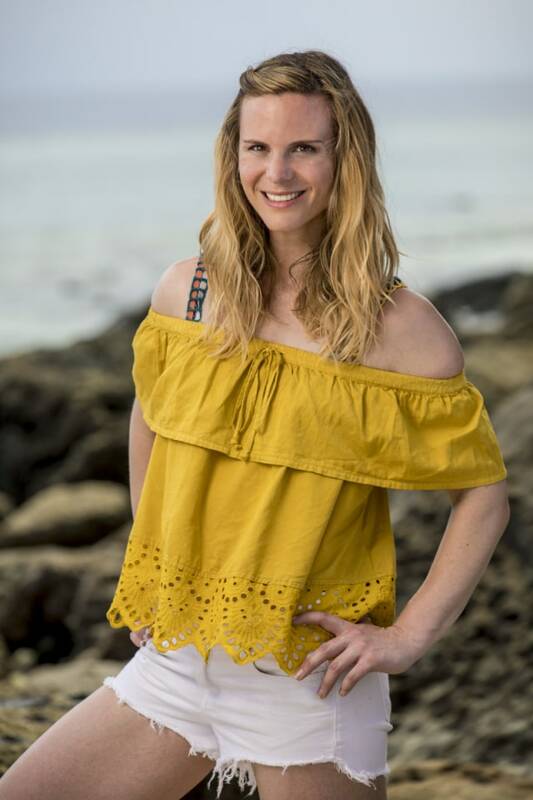 Do you agree with Roark in thinking Ryan made the right choice to vote her off? Join the conversation by leaving a comment below.